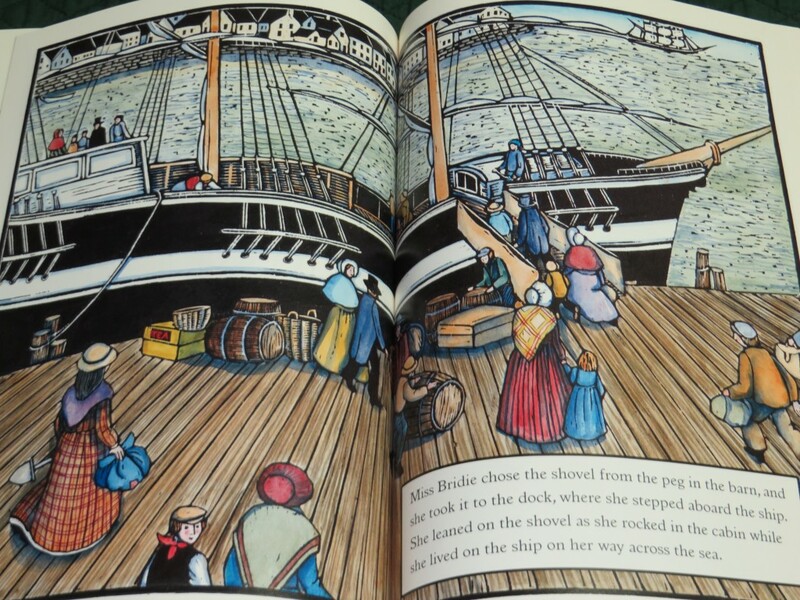 but Miss Bridie chose a shovel back in 1856.
she took it to the dock, where she stepped aboard the ship. she lived on the ship on her way across the sea. when she stepped off the ship in the harbor in New York. This quiet, beautiful book covers most of a lifetime and is a pleasure from beginning to end. 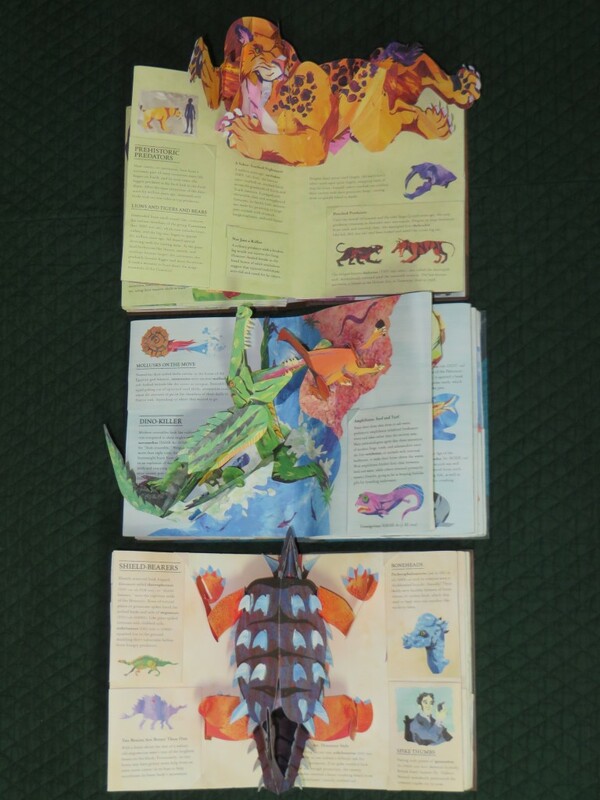 Layers upon layers of scientific information are presented in this series through eye-popping pop ups (each double page spread has one big pop up, plus lots of smaller ones hidden in mini-attached pages). It is perfect for kids who love animals and science (and have learned to be gentle with delicate books). Kitten tries (and tries) to reach the little bowl of milk that she wants so much. Things do not go well. (Poor Kitten!) But, as you might expect, there is a happy ending waiting. 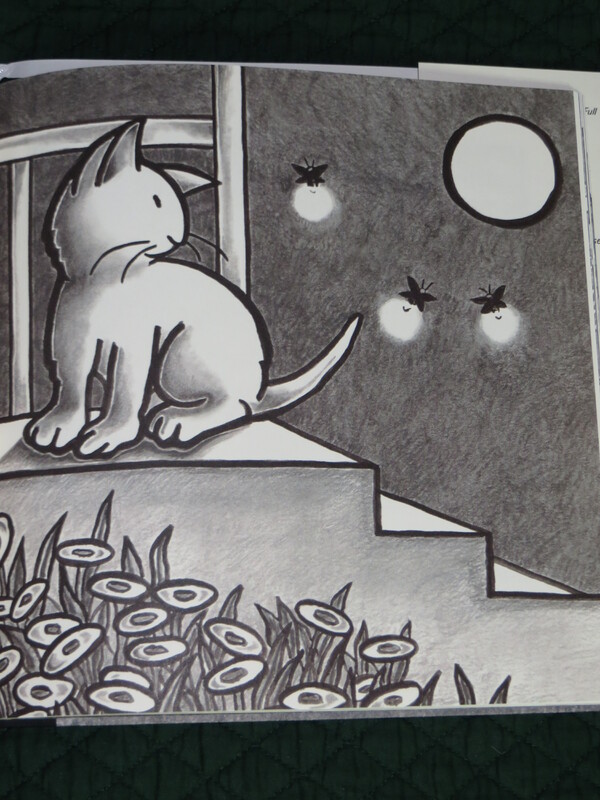 This soft, sweet, short story is perfect for just before bed.